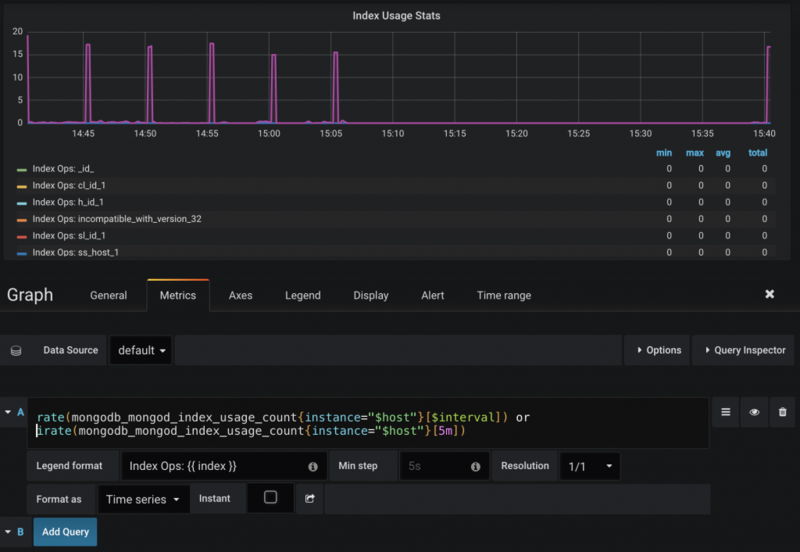 First of all, you can already identify access operation counters from each collection using the $indexStats ( indexStats command before 3.0) aggregation command. This command provides two important pieces of information: the ops counter value, and since , which is when the ops counter first iterated to one. It is reset when the mongod instance is restarted. The same information from $indexStats can also be made available to PMM. By default, the mongo_exporter does not include this this information but it can be enabled as an additional collection parameter. Jervin, great post! I have a quick question for you. I actually just installed pmm for our mongo cluster yesterday. Any reason why index usage isn’t already included? Also, where can I find the list of parameters such as -collect.indexusage? I followed this guide but saw no mention of additional params.